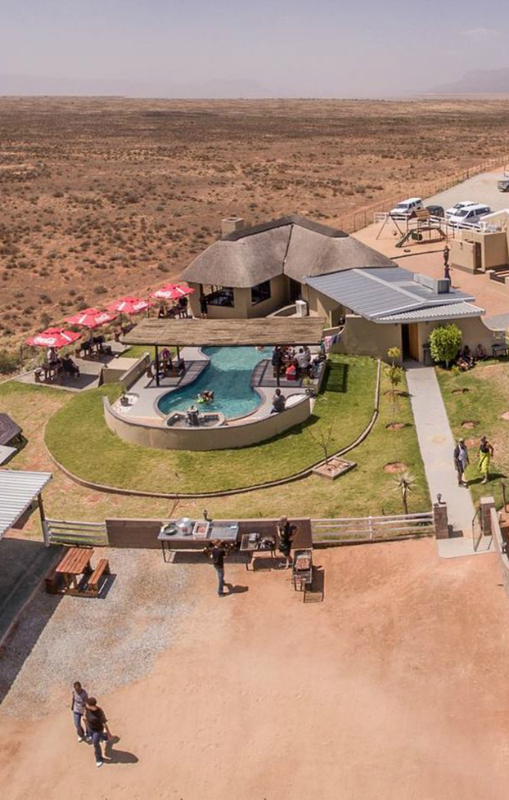 A family owned restaurant is ideally situated just outside Vanrhynsdorp on the R27, en-route to Nieuwoudtville, Western Cape en-route between Namibia and Cape Town. Here you can come and enjoy a relaxing Sunday lunch (a’la carte menu, open 11h00-15h00). Kids friendly with a jungle gym as well as a swimming pool. We cater for smaller functions of any nature, including year-end functions, birthday parties, weddings, reunions, etc. Set menus will be available, but a menu of your own choice can be easily compiled.